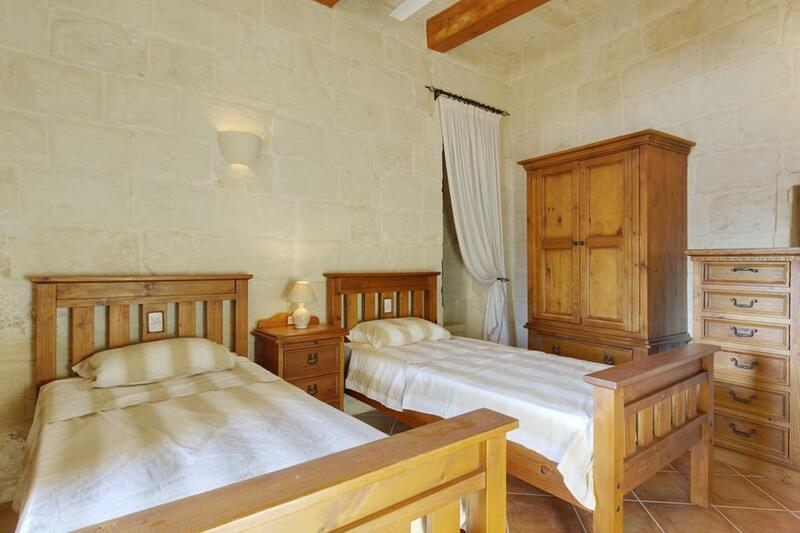 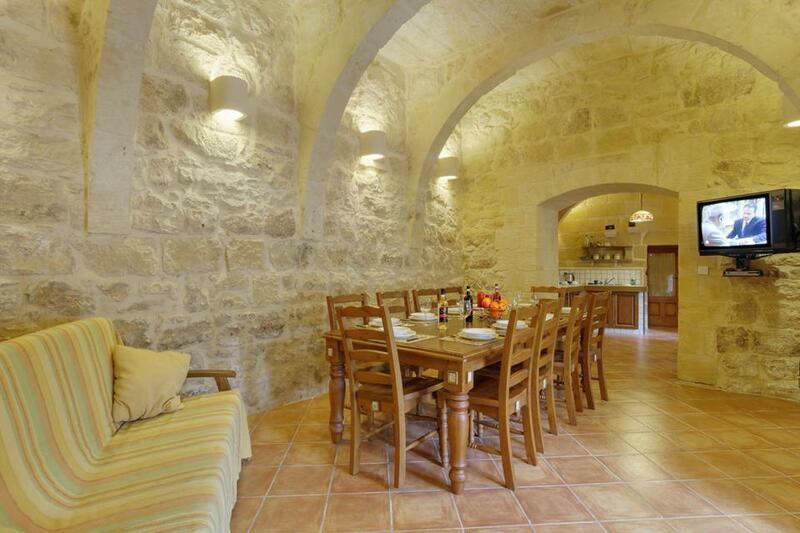 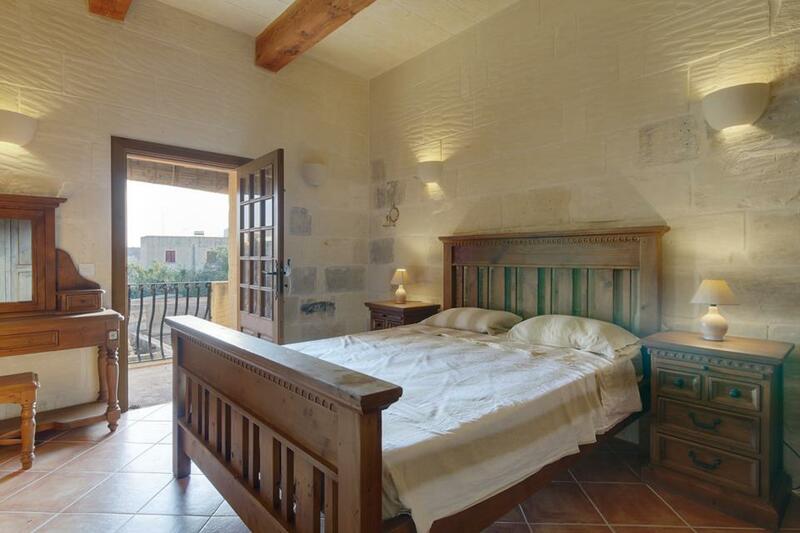 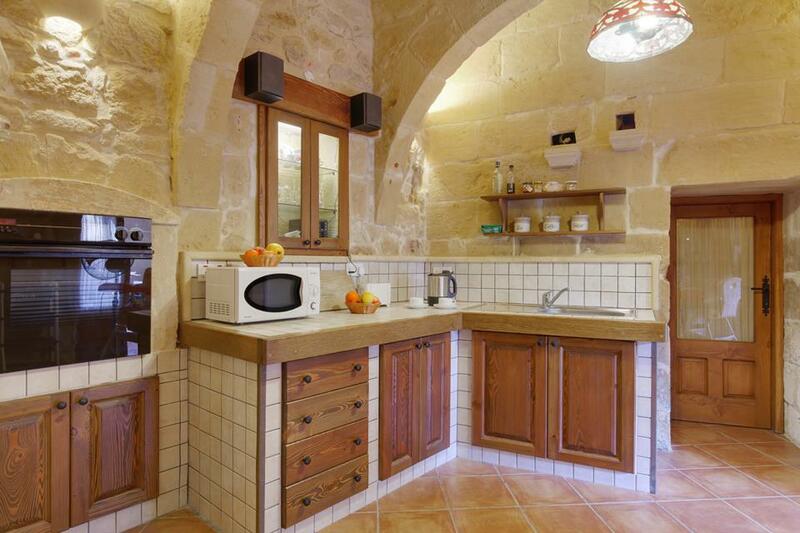 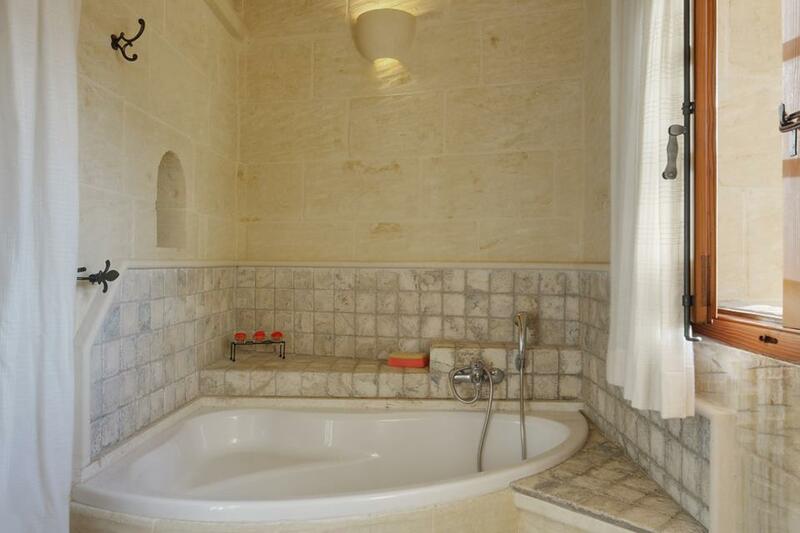 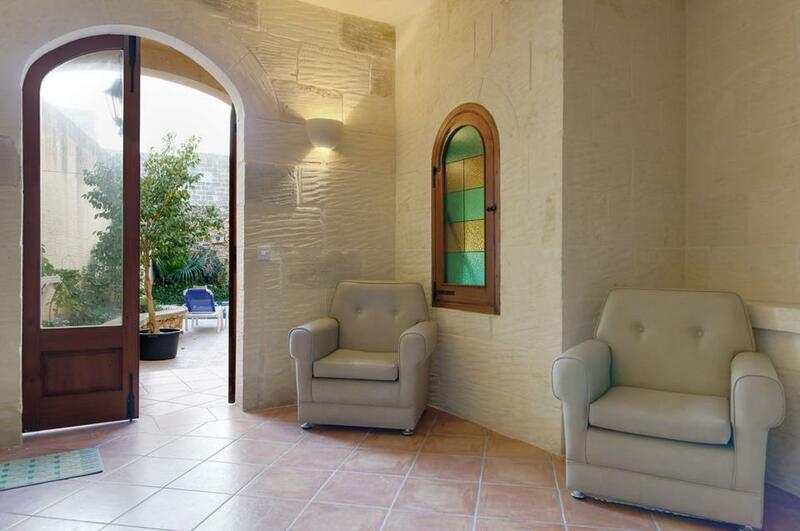 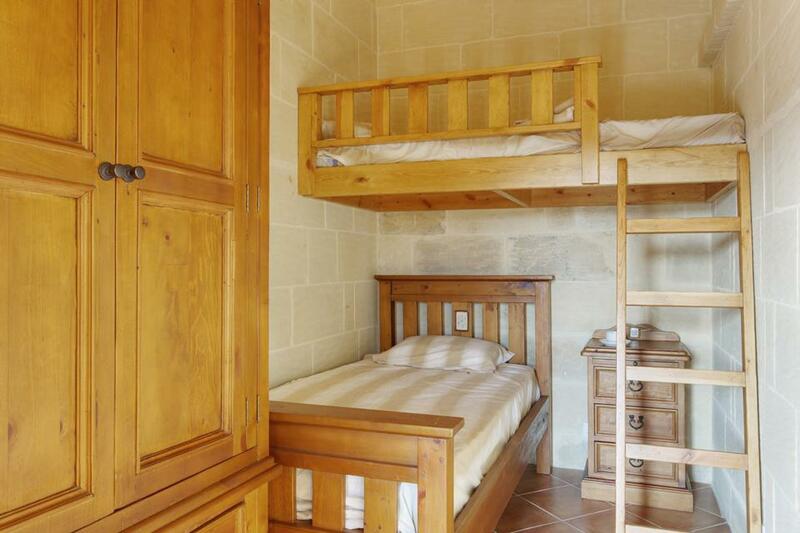 Situated in the village of Xewkija, this farmhouse is only 15 minutes walk to Victoria, the centre of Gozo. 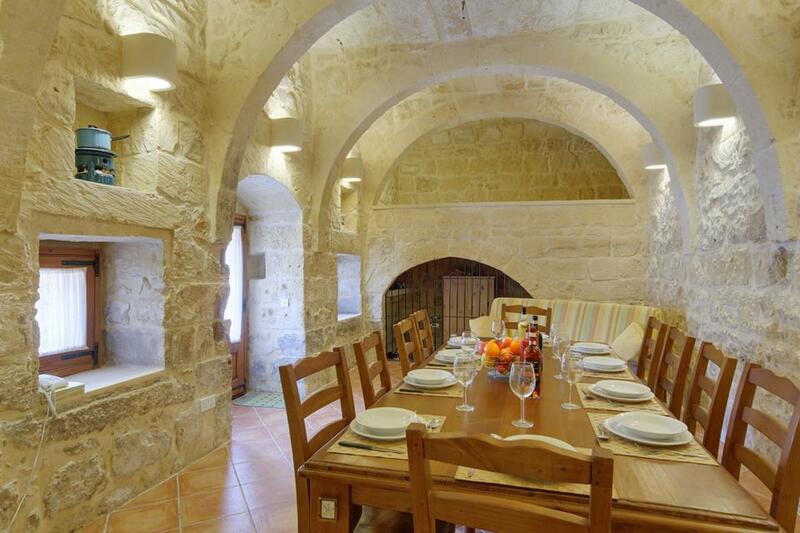 This beautifully renovated farmhouse has mixed modern and old styles in its decor. 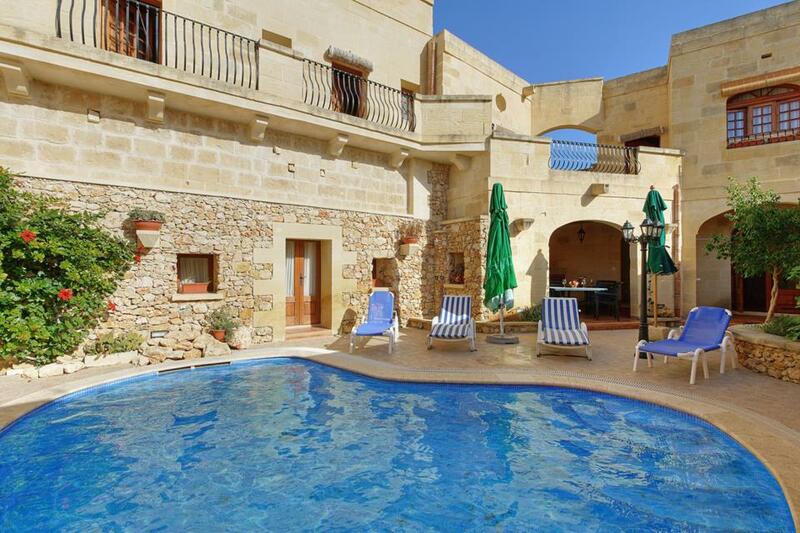 The living, dining and kitchen areas are on the ground floor and enjoy views out over the pool. 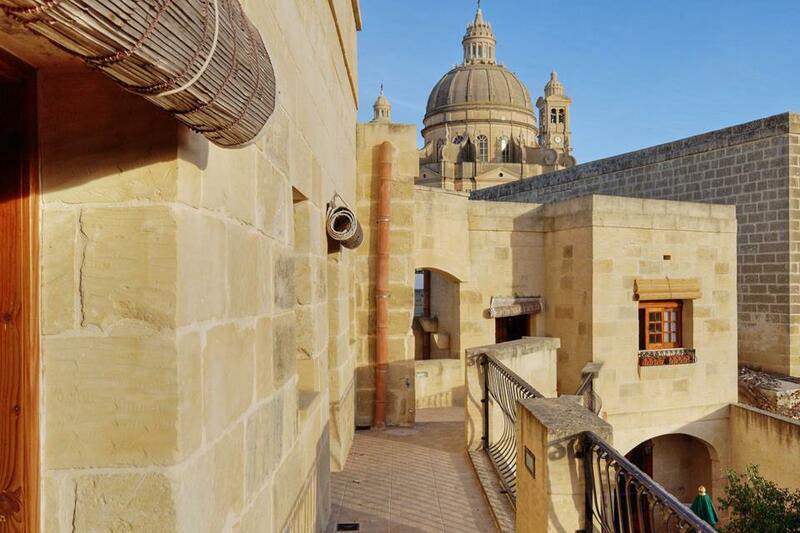 All bedrooms are situated on the first floor and can be reached by an external staircase and upper terrace. 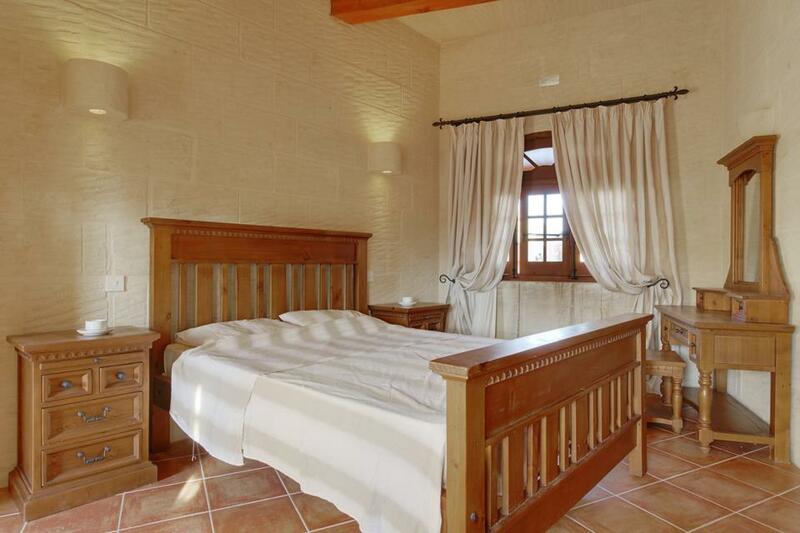 This farmhouse is ideal for anyone looking for a quiet relaxing holiday.